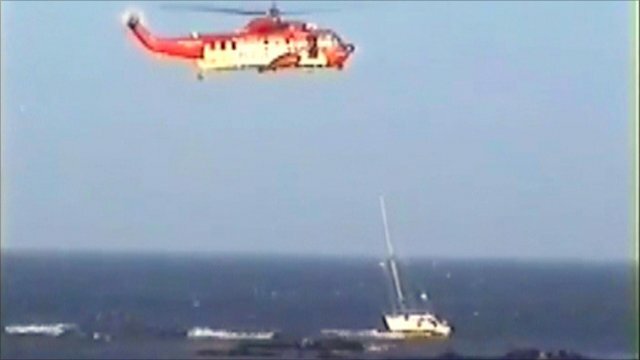 Aaron Quirey captured the moment when a member of the Irish Coastguard was winched down in high winds and heavy seas to a yacht, which had got into difficulties off the County Down coast near Ballywalter. An initial attempt to land the rescuer on the yacht failed and he dropped into the water, swam to the rear and climbed on board. The rescuer then secured the skipper of the stricken vessel to his winch before the helicopter lifted both of them off the deck and onto the aircraft. A Bangor Coastguard Rescue Team had set up a landing site nearby and the rescued man was reported to be unharmed by his ordeal.